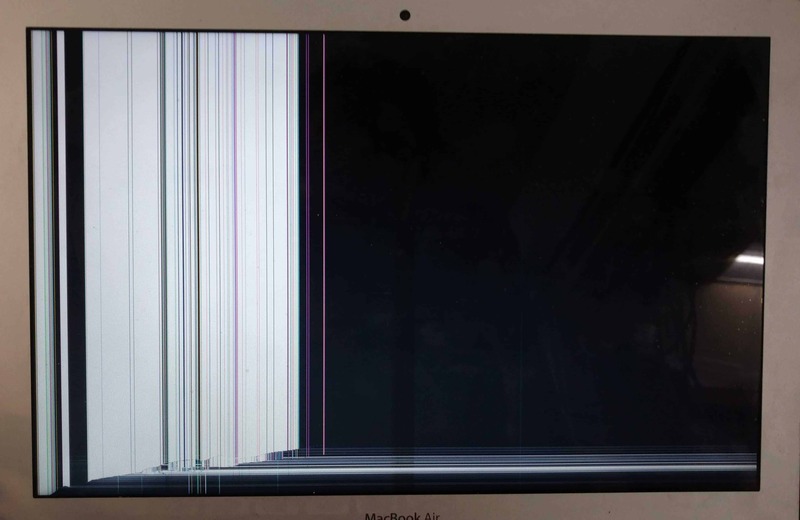 This little 11 inch MacBook Air had its LCD panel damaged when someone sat on it. Whoops! 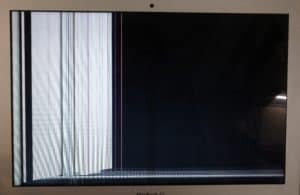 When it was opened up and turned on, the telltale signs of a damaged LCD appeared–lines across the screen and black portions on the display. Fortunately, replacing the LCD only cost $200 and took less than 24 hours.